A few officemates and myself went for dinner at Flutes at the Fort just off Fort Canning park. The ambience is supposed to be vineyard inspired. I can't comment for sure how close it might look like to an actual vineyard, but the outdoor dining experience was lovely all in all. The restaurant is actually an old restored house where seating is at the terrace, so it has that country Gone with the Wind feel to it . 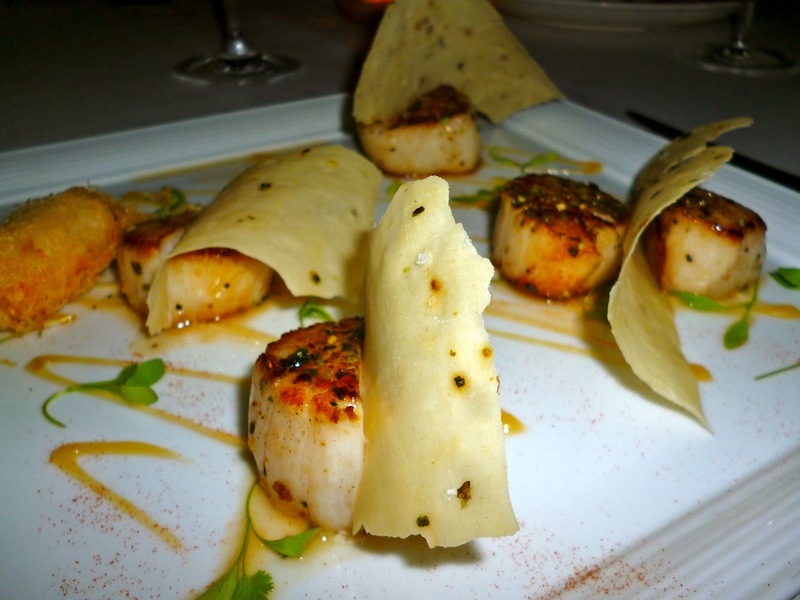 For starters we had the Seared Sea Scallops (SGD 28.00). The scallops were beautifully fresh and the tangy lime dressing was perfect with the gigantic juicy scallops. 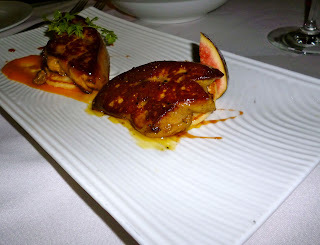 Our table also had the Pan Fried Foie Gras (SGD 28.00). The foie gras had the crisp searing on the outside which I always enjoy as a prelude to the inner buttery texture of the liver. The sweet prune glaze was also fantastic in this dish. For mains, a few of us shared the Grainge Black Angus Cote de Beouf (SGD 120.00). This is a heavy 900-gram steak. The menu says that it's good for 2, but in my opinion the portions are large enough to feed 3 to 4 people. 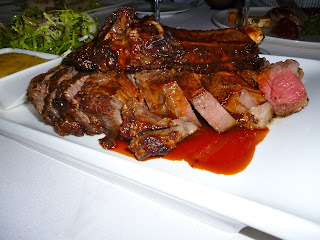 This enormous piece of ribeye was delicious, and the meat was very tender with just the right amount of seasoning. Our table also had the Gratin Of Whole Lobster (SGD 45.00). The cheese sauce was rich but very satisfying. 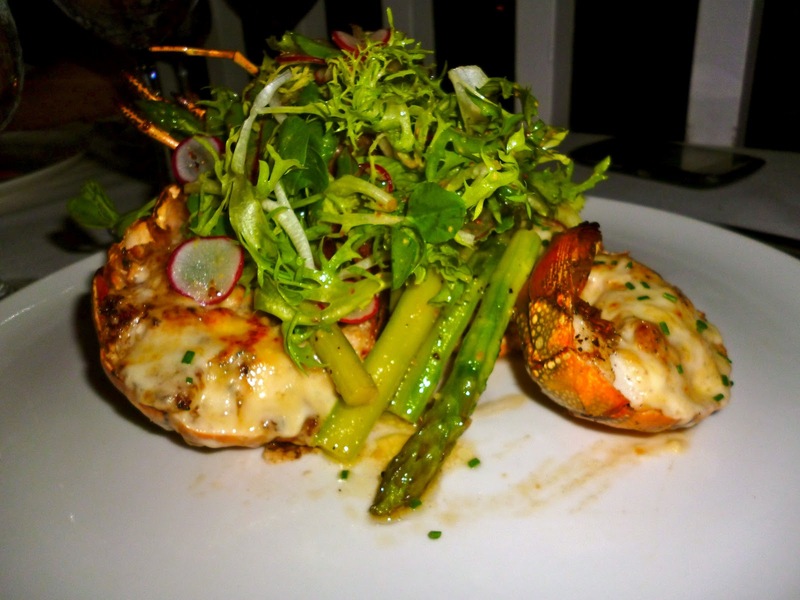 The lobster was a little small in size, though it was cooked well and had a nice overall texture. For dessert, we tried out the Dark Chocolate Fondant With Fennel Ice-Cream and Pistachio (SGD 16.00). This was reminiscent of a souffle or lava cake. I love anything with oozing warm chocolate sauce, so this was an instant hit for me. Flutes at the Fort was delightful, and all the dishes we tried out did not disappoint. This is definitely a good place to visit for special occasions, and I'm glad I got to try this out. The place is hidden and quite difficult to find, so do visit their website for clear instructions on how to get there.